A processing company is seeking a Tow Motor Operator for an immediate, full-time opportunity. You will operate a sit-down, electric/propane tow motor to move around rolled metal, unload trucks, transfer material to work stations to be inspected, and then move material into storage area. Work hours are Monday through Friday from 6 a.m. to 2:30 p.m. Qualified candidates must have previous experience operating an electric/propane tow motor, must have experience moving heavy material, must be able to work in a fast-paced warehouse, must have steel toed boots, must be safety- conscious, and must want a long-term opportunity at a growing company. Only candidates that can pass a background check and drug screen will be considered. 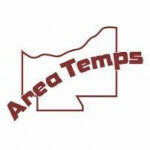 For an immediate interview, please call 440-253-2983 or submit your resume to parma@areatemps.com.